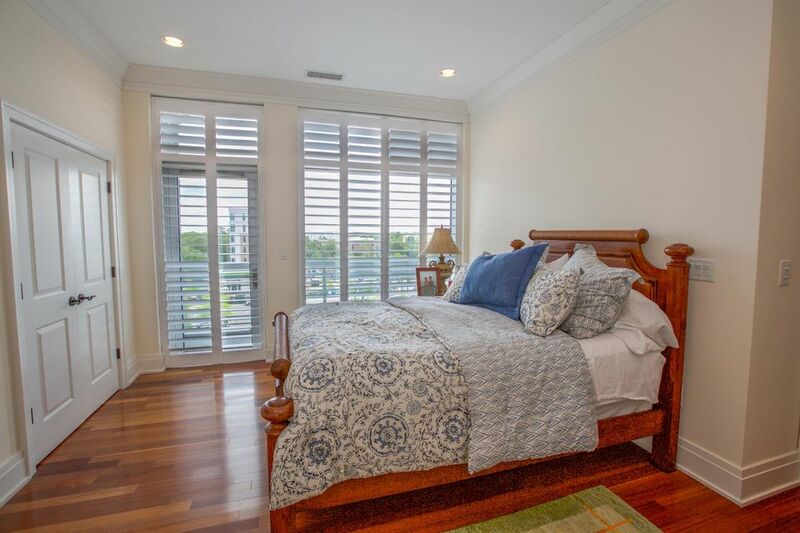 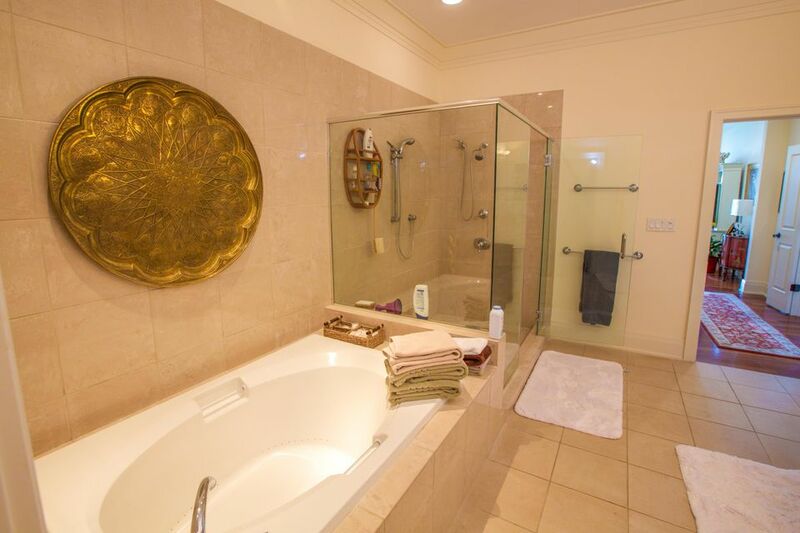 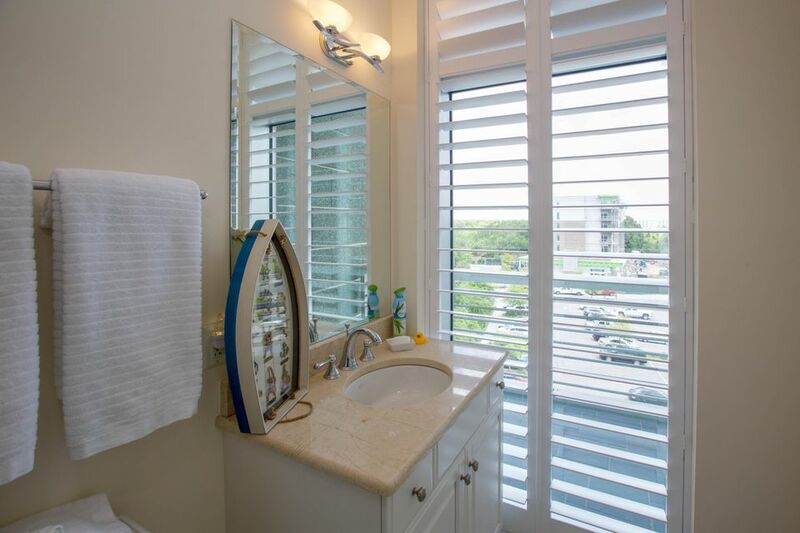 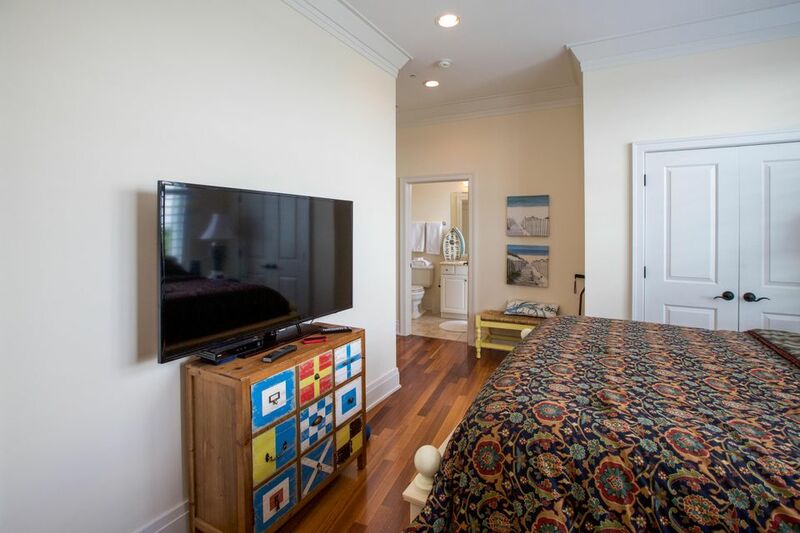 Gorgeous 3 BR + Den/Office Luxurious Condo with over 2800 sq. 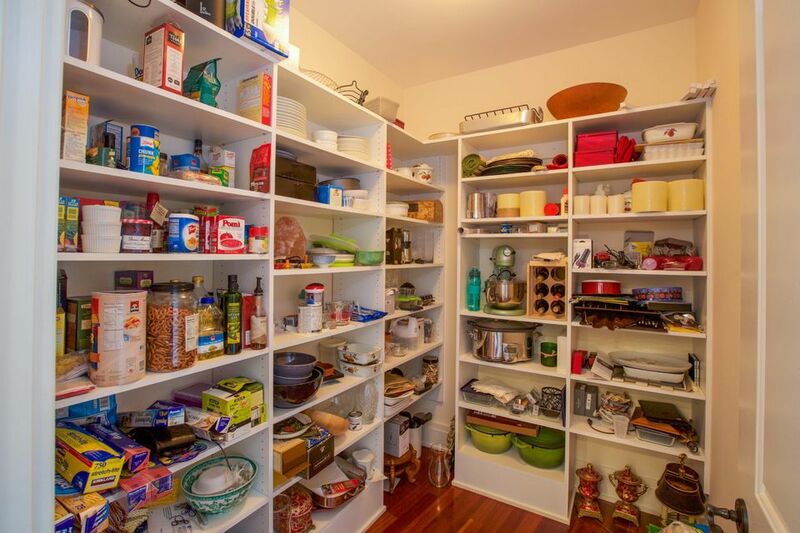 ft., meticulously kept! 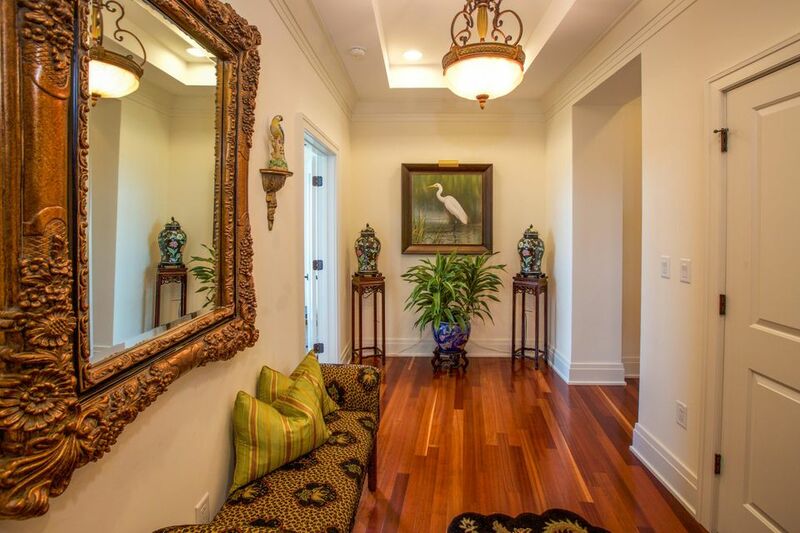 Two welcoming foyers as you step off the elevator. 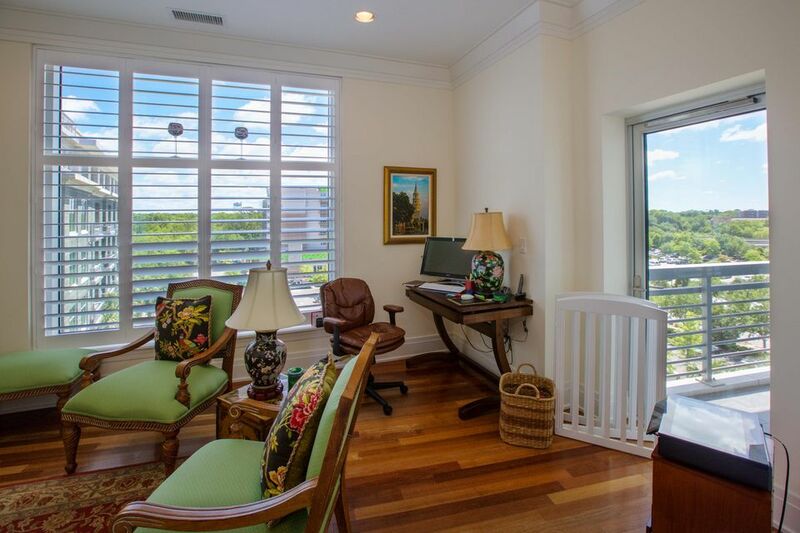 A spacious office/den which allows access of private balcony. 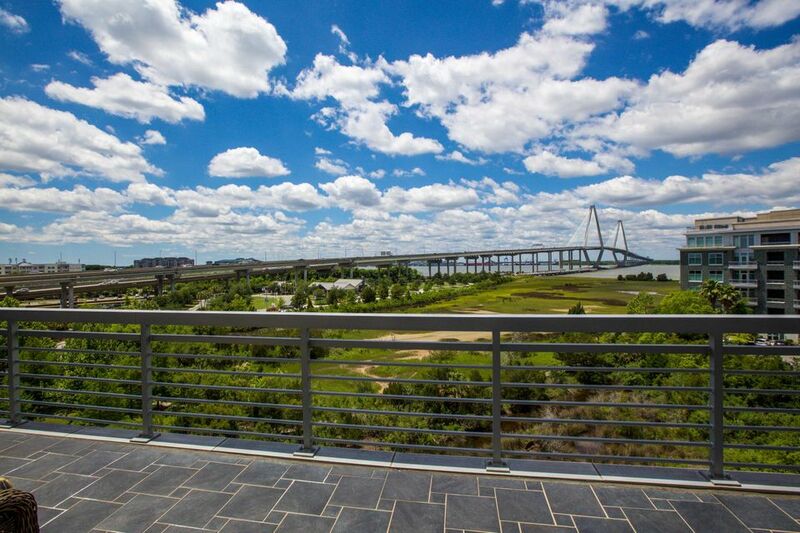 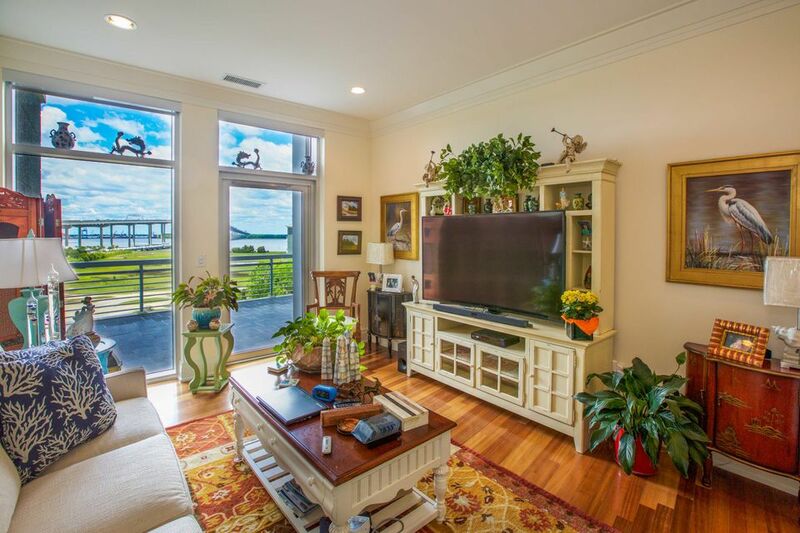 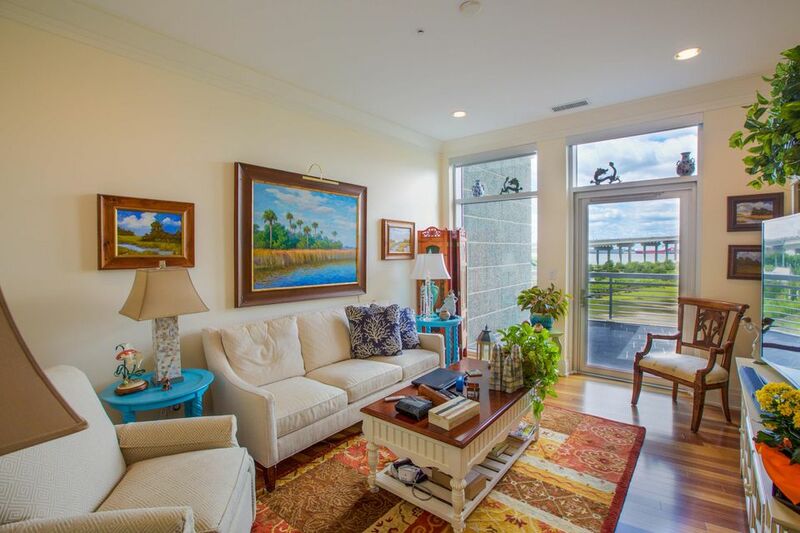 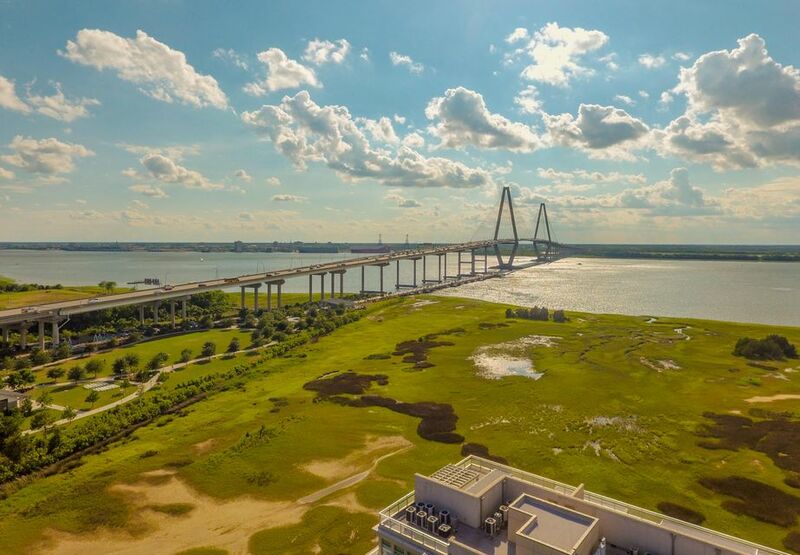 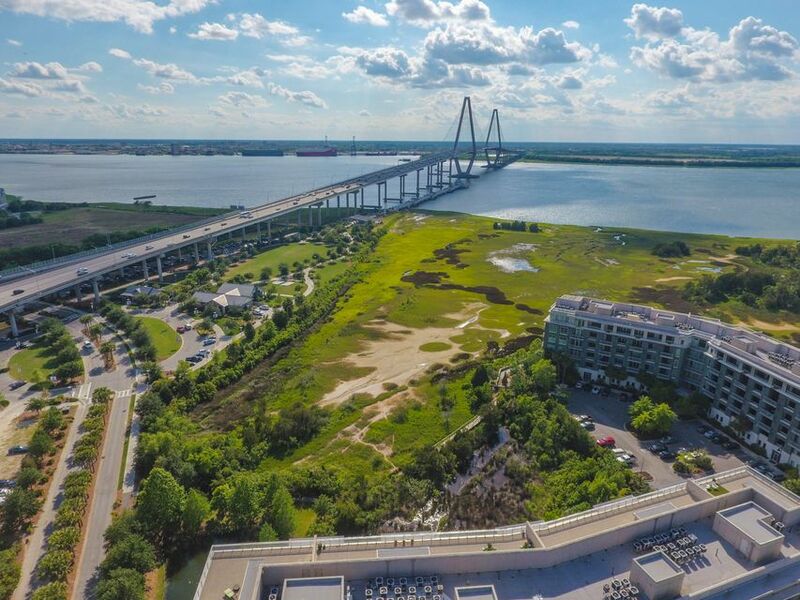 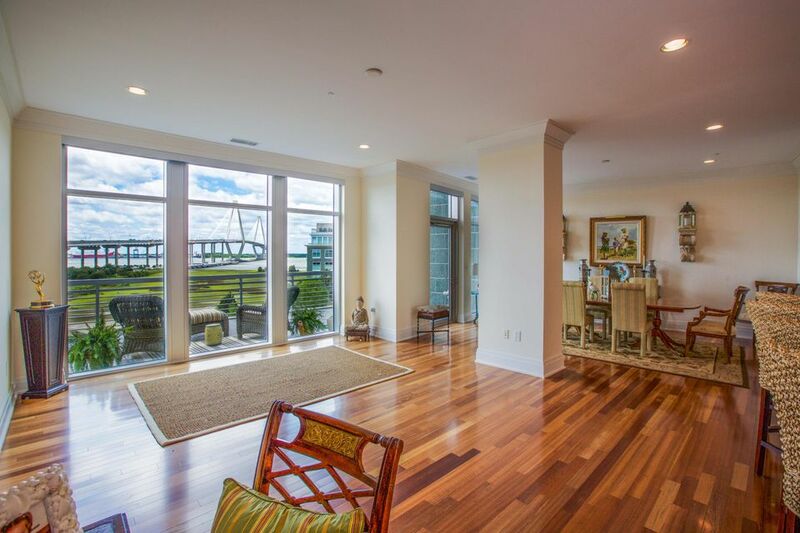 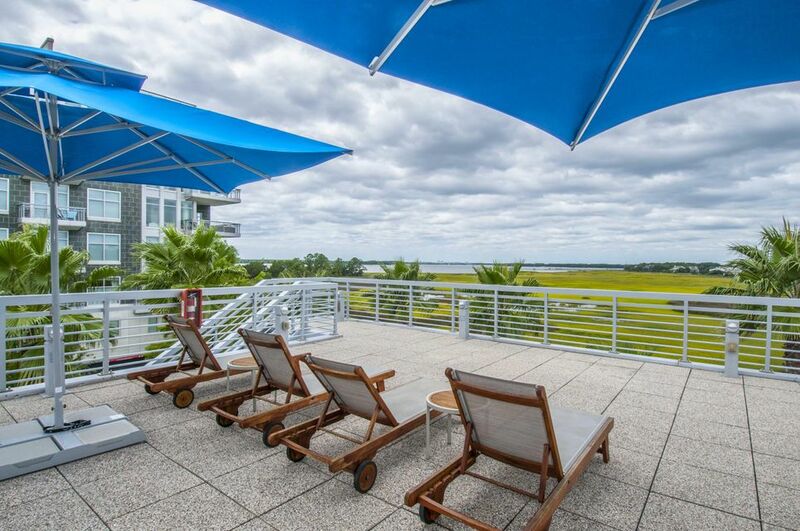 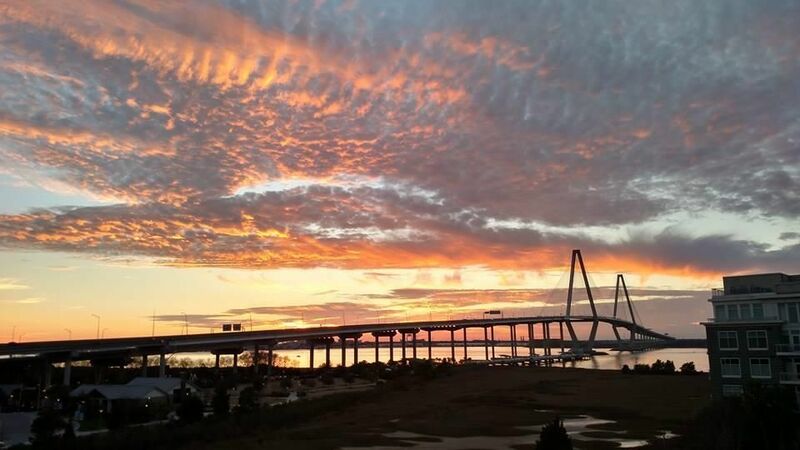 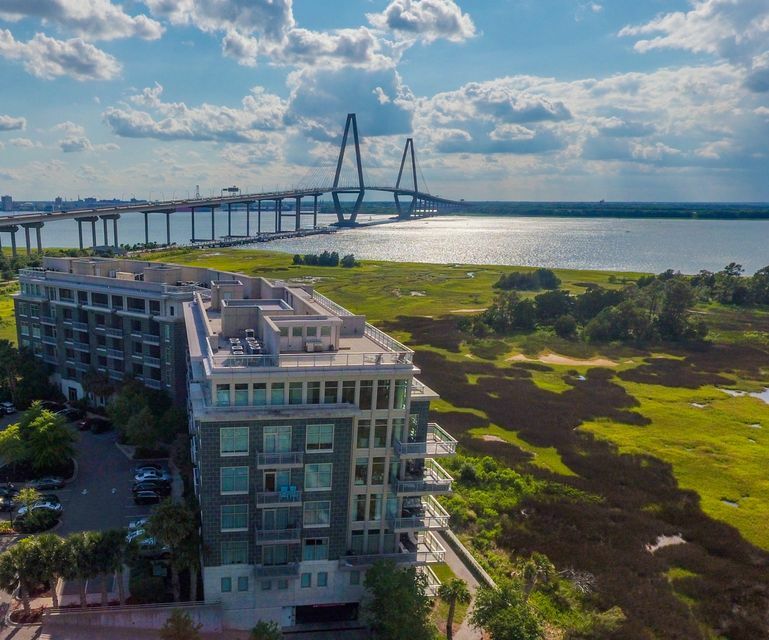 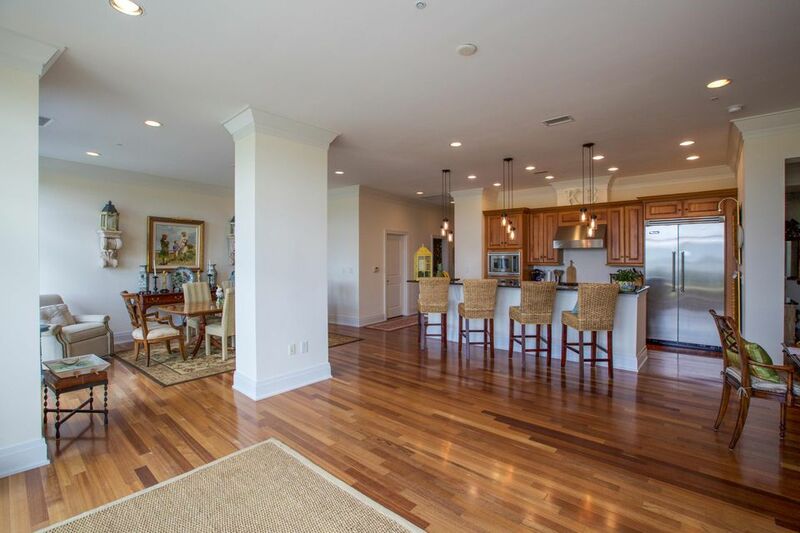 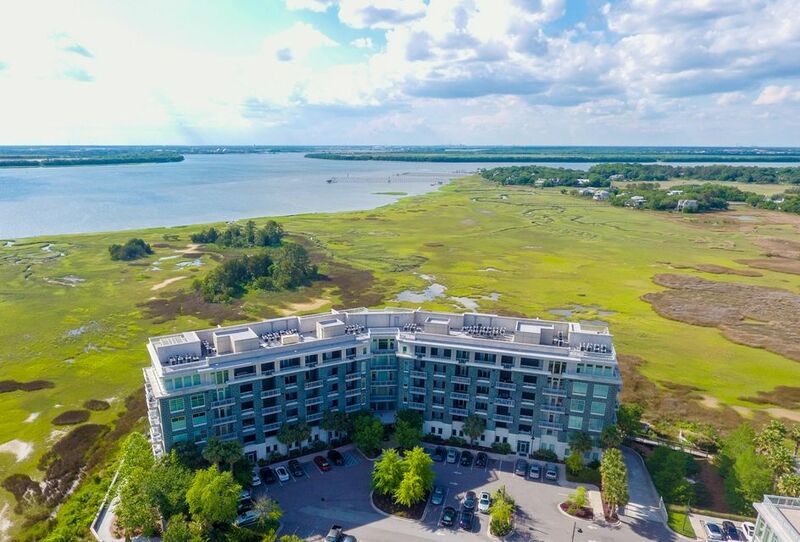 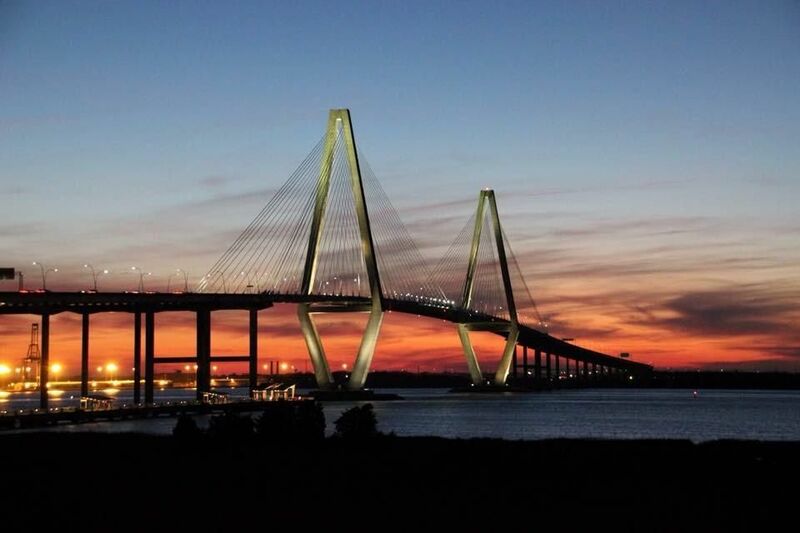 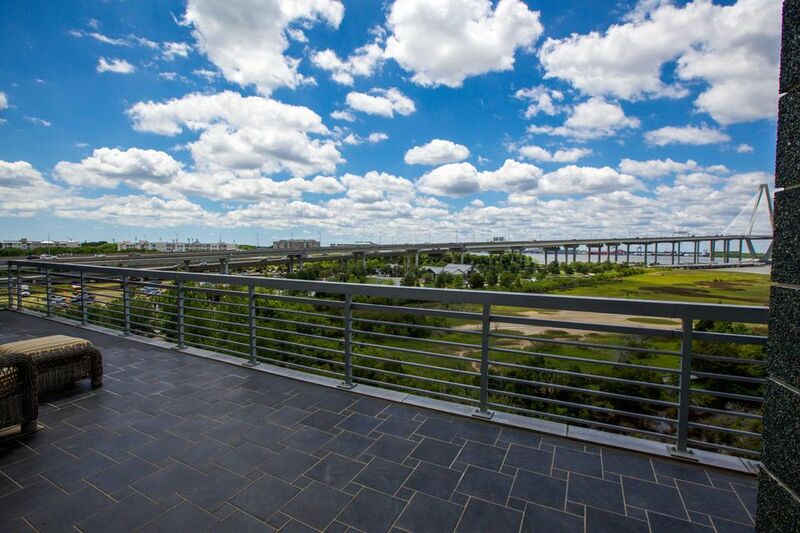 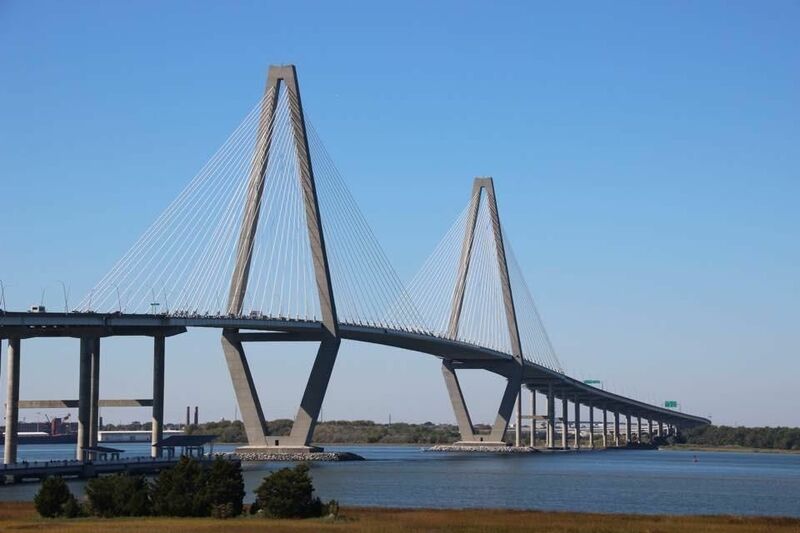 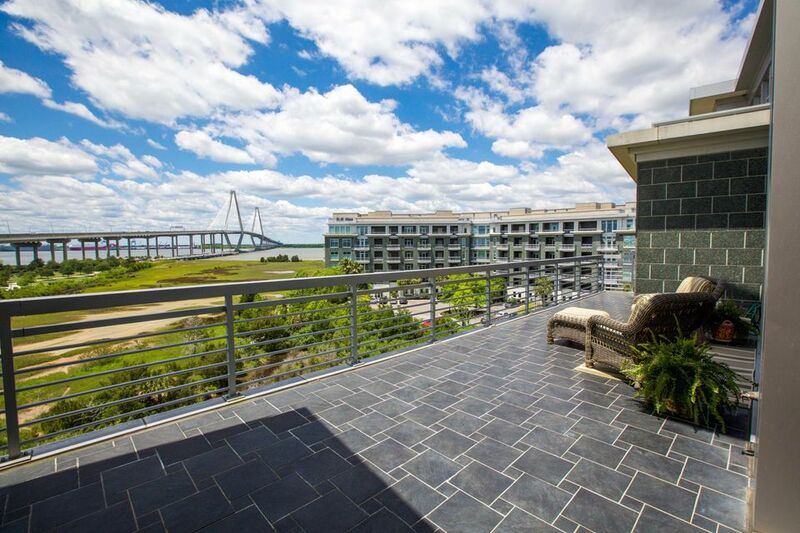 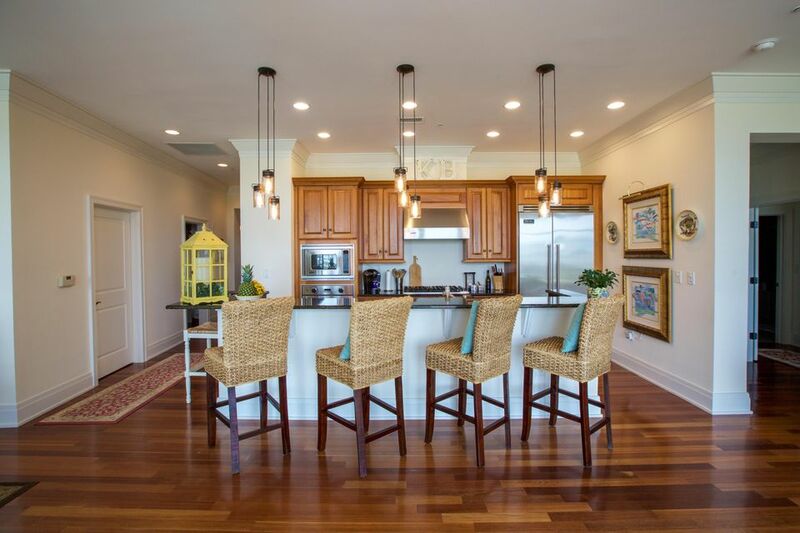 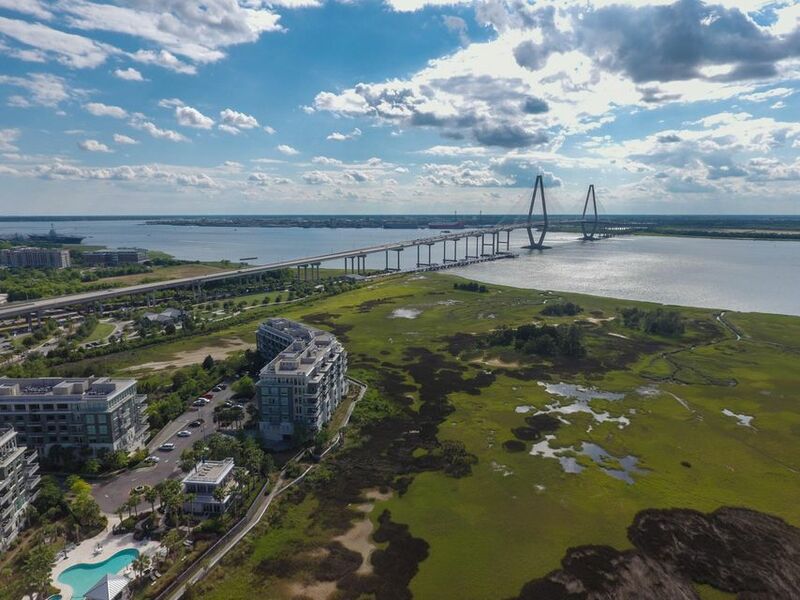 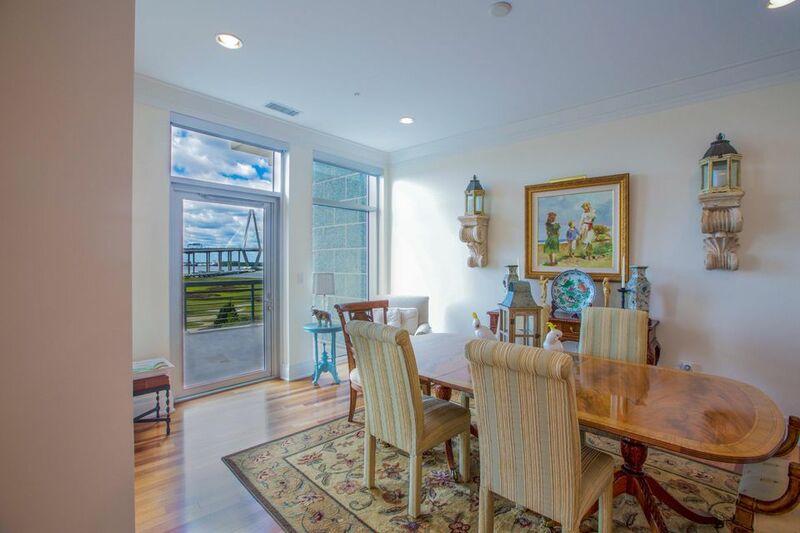 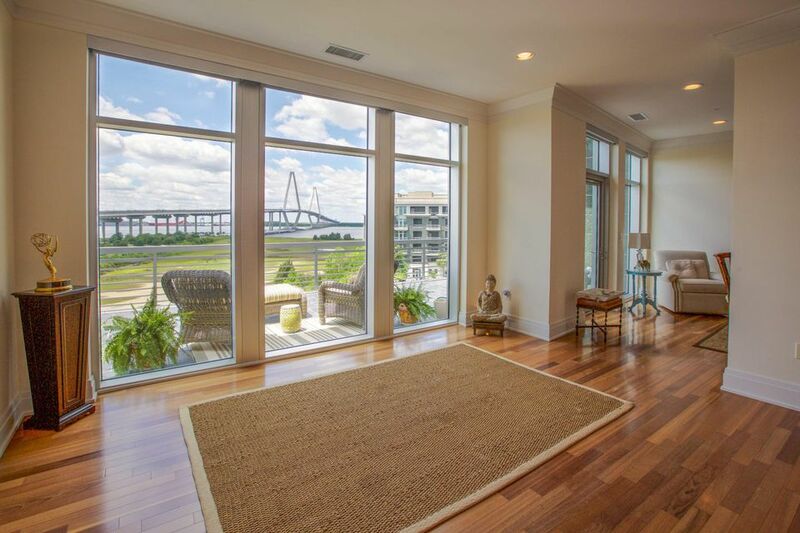 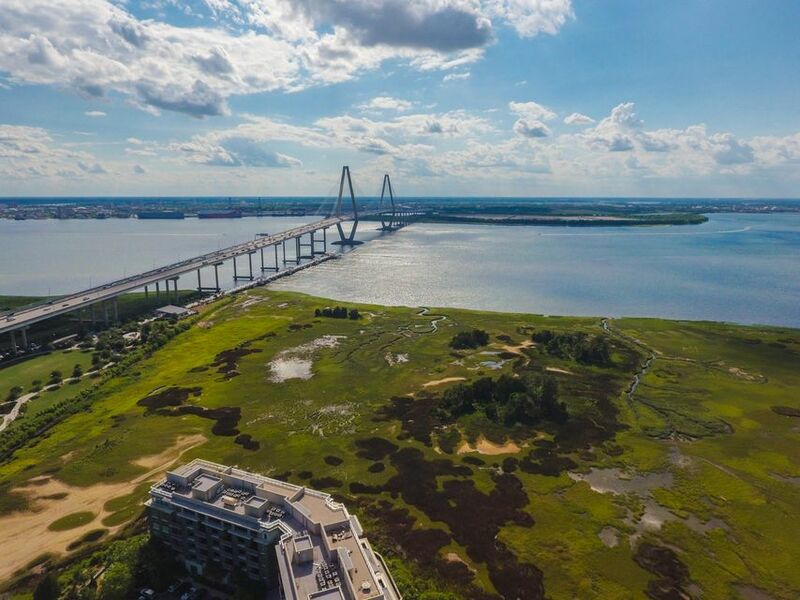 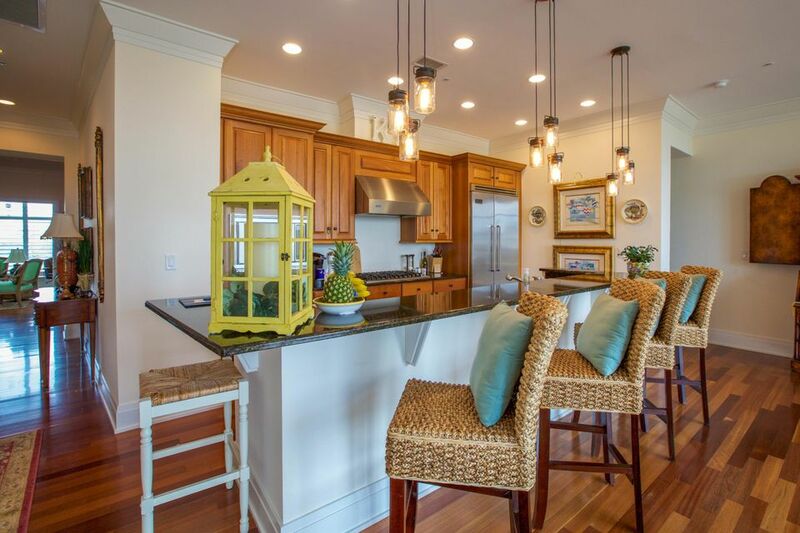 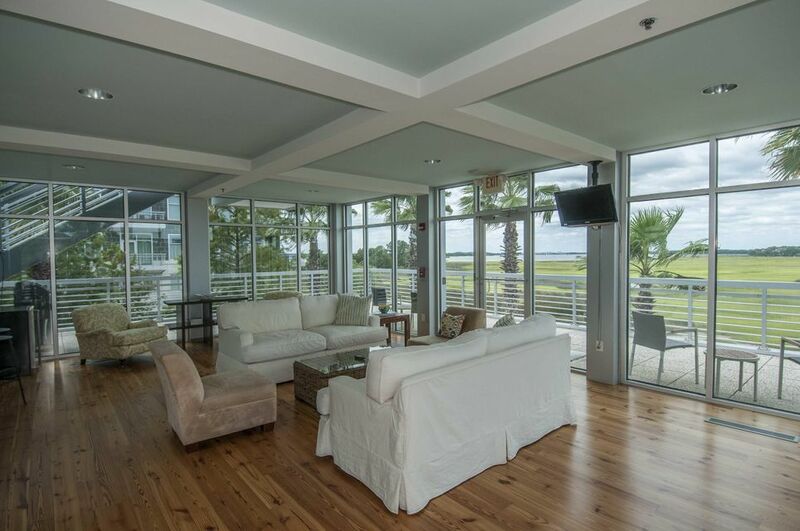 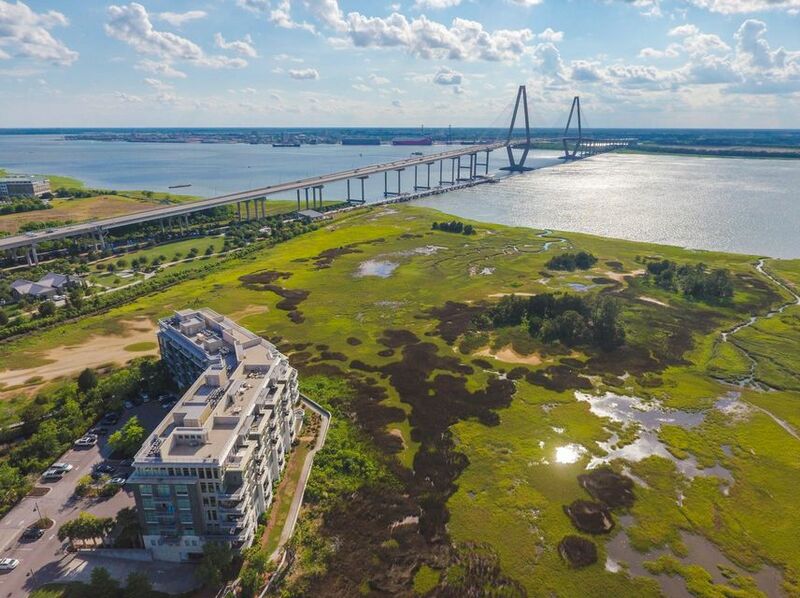 Combined Open LR & Dining area has incredible views of the Ravenel Bridge, which is mesmerizing especially at Sunset and as the Boats pass through the Charleston Harbor. 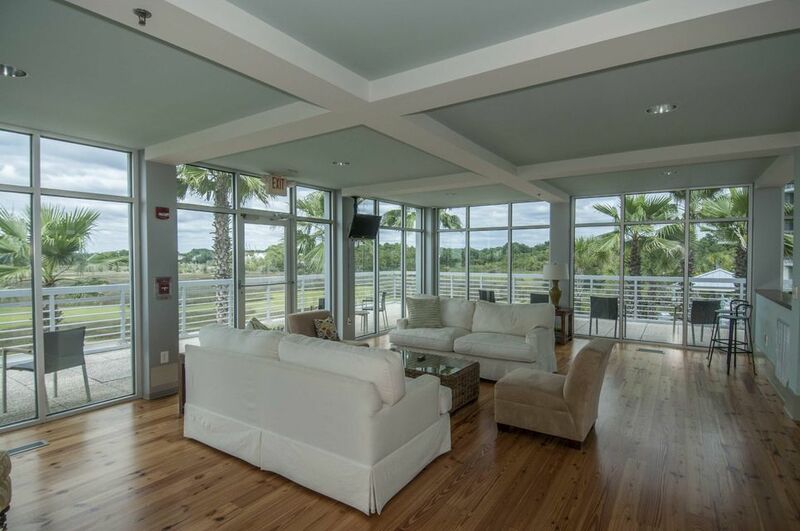 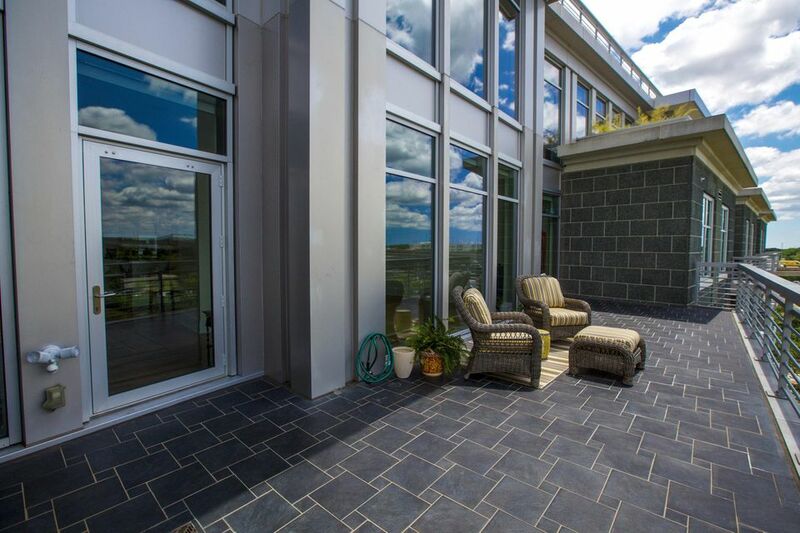 The Balcony is expansive, with lots of space for lounging, dining & entertaining. 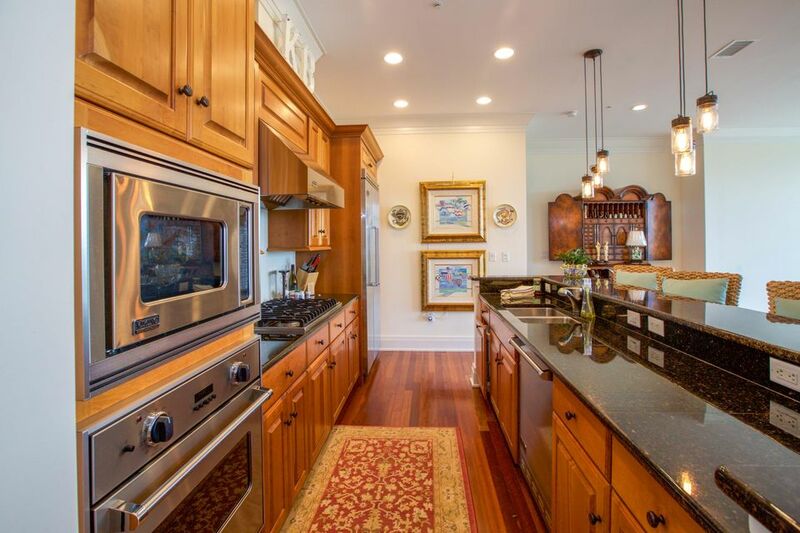 The Kitchen has all Viking appliances including gas cooktop, custom cabinetry, granite countertops, & large walk-in pantry. 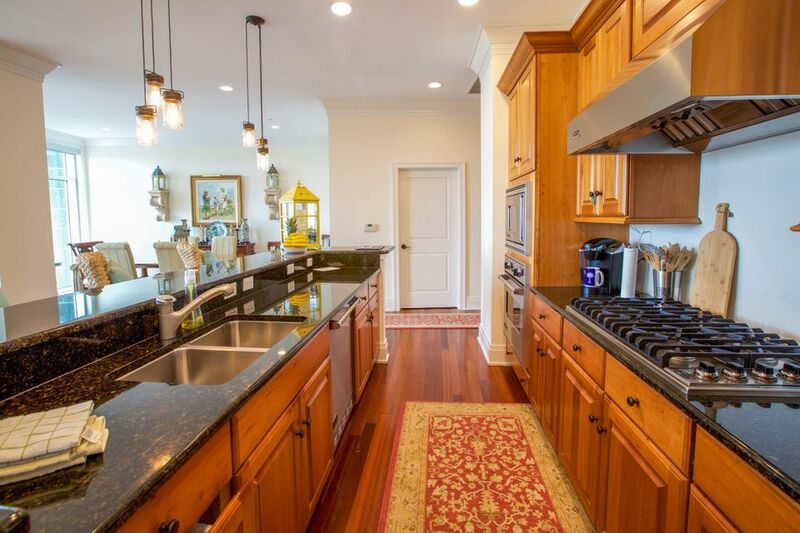 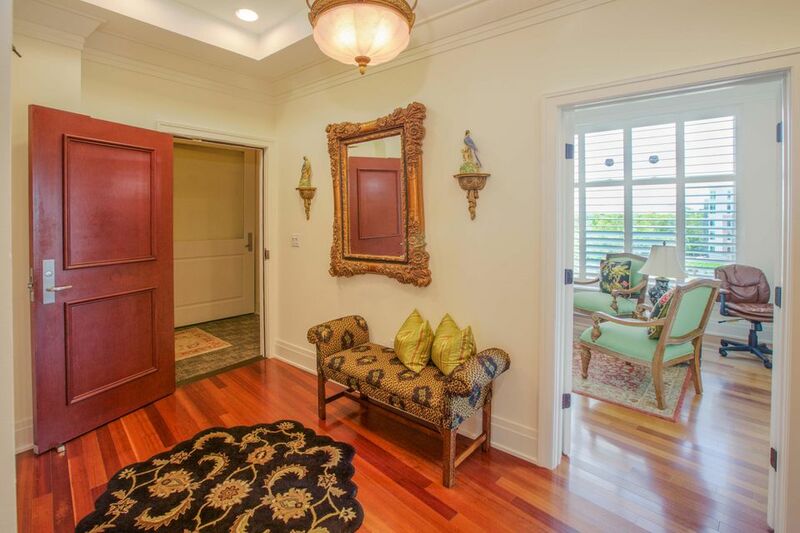 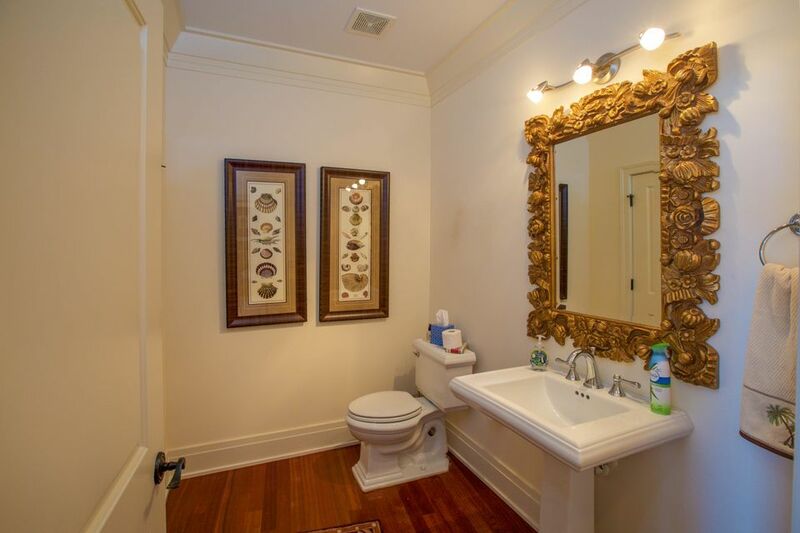 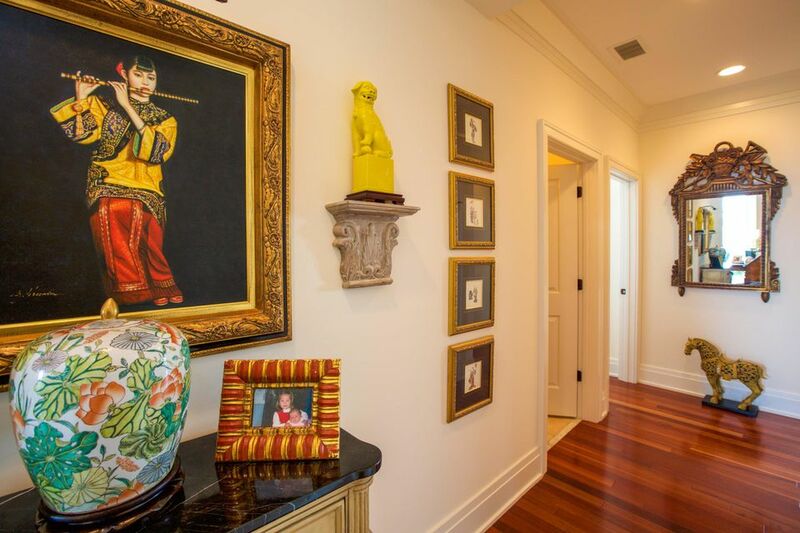 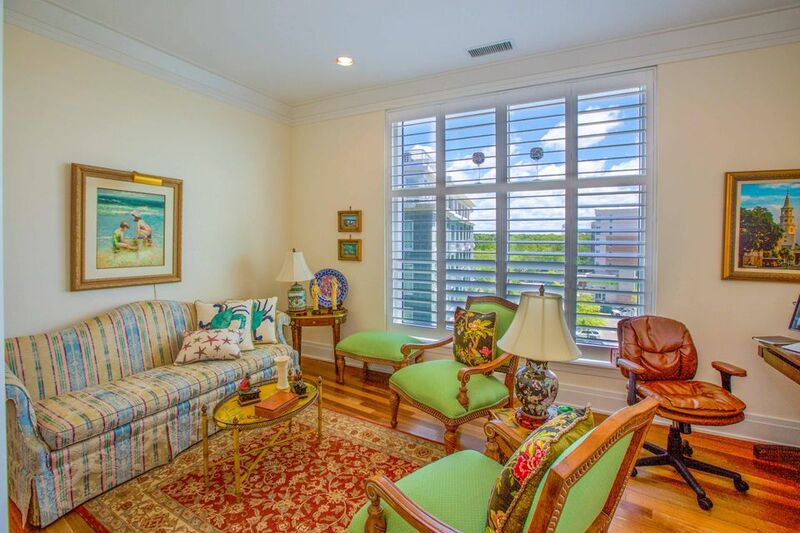 Beautiful Brazilian Cherry Floors throughout, 10 Foot ceilings, & extensive molding throughout. 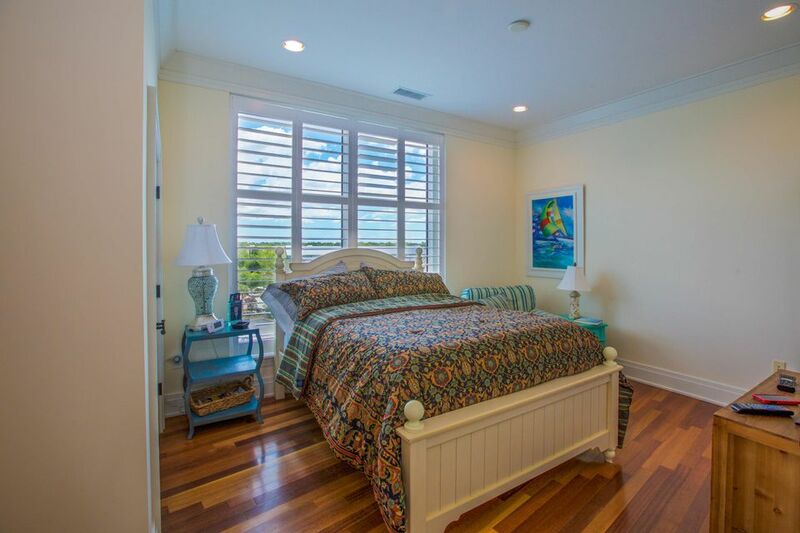 Master Bedroom offers access to the main Balcony, large Walk-In Closet, Air-jet Jacuzzi, step in Shower, & private Water closet. 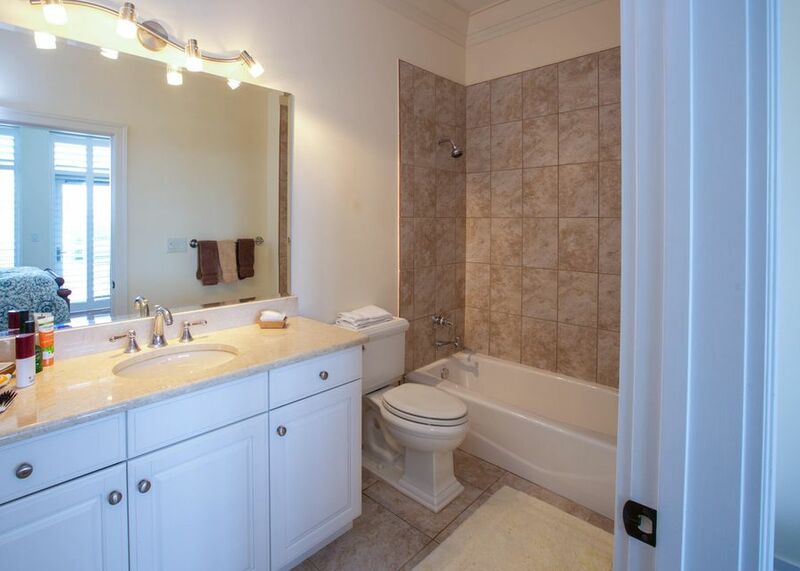 Each Guest BR has own Bath. 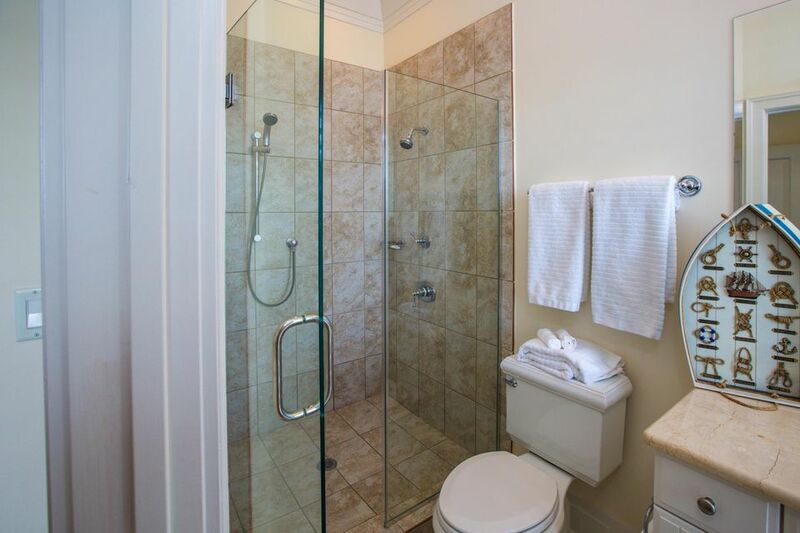 Rear Guest BR has separate entrance to the unit. 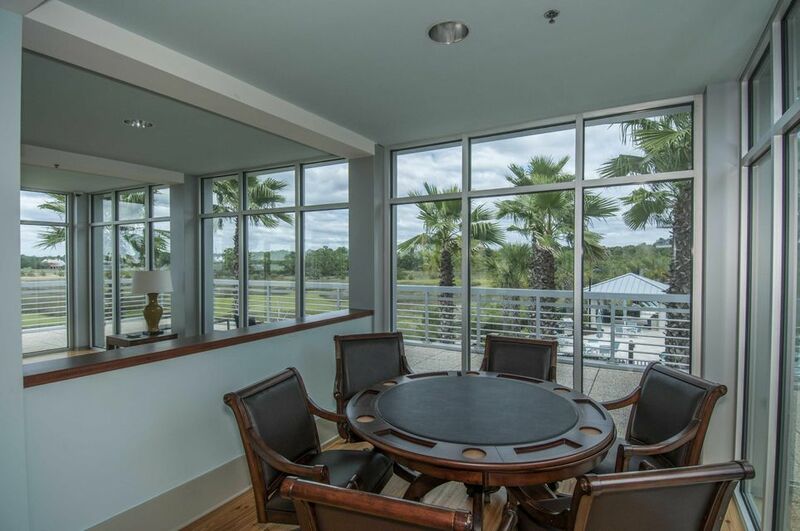 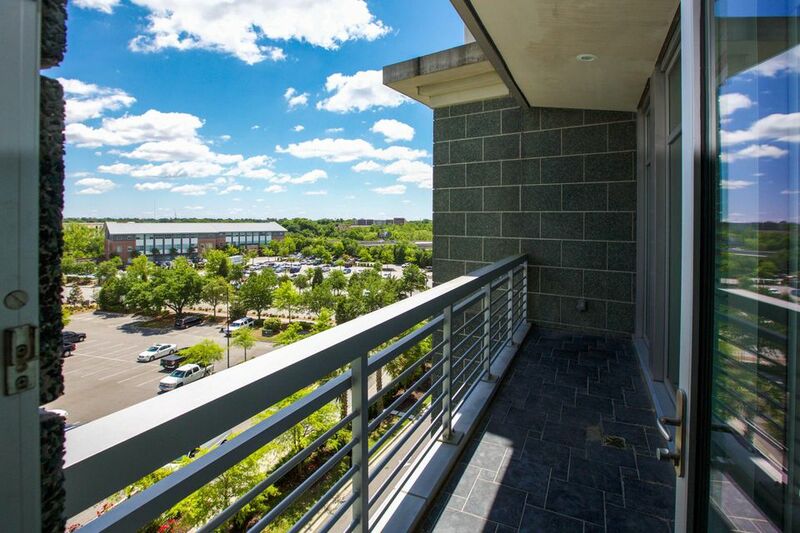 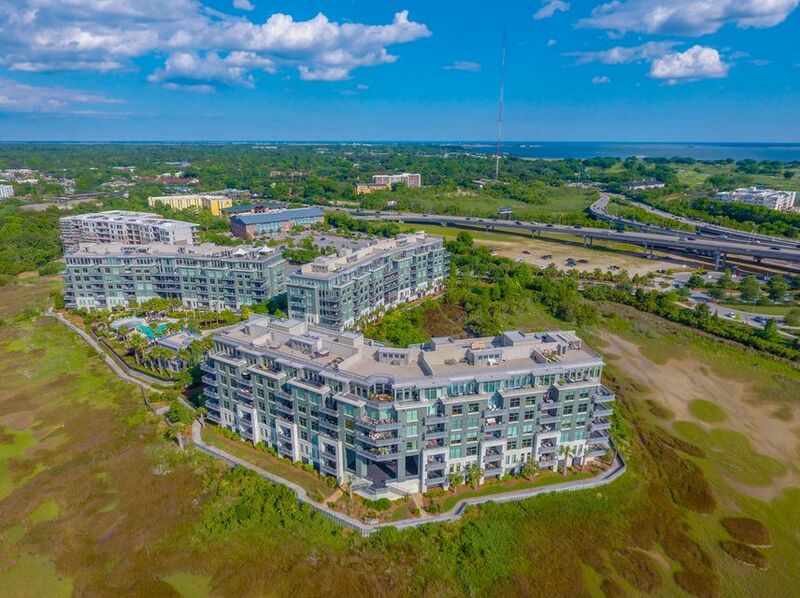 This is a fantastic rare opportunity to own a spacious true 3BR + Office luxury condominium with incredible views! 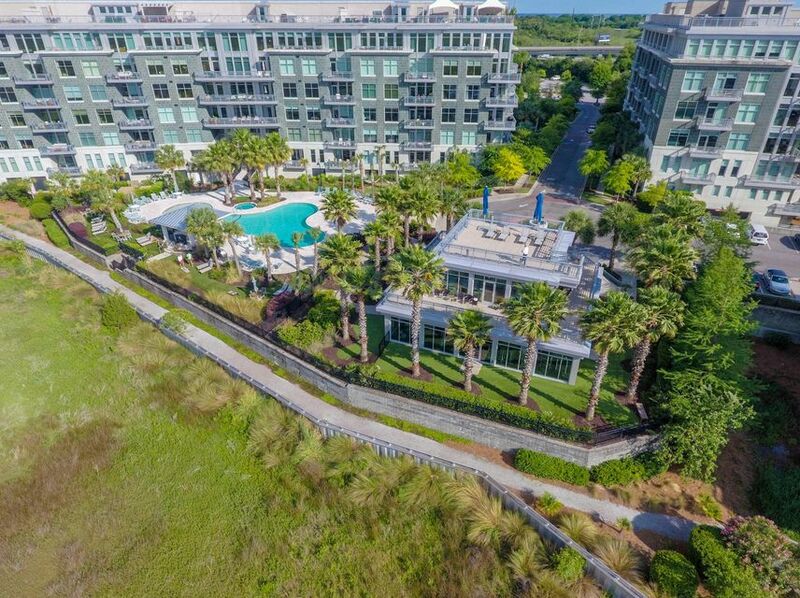 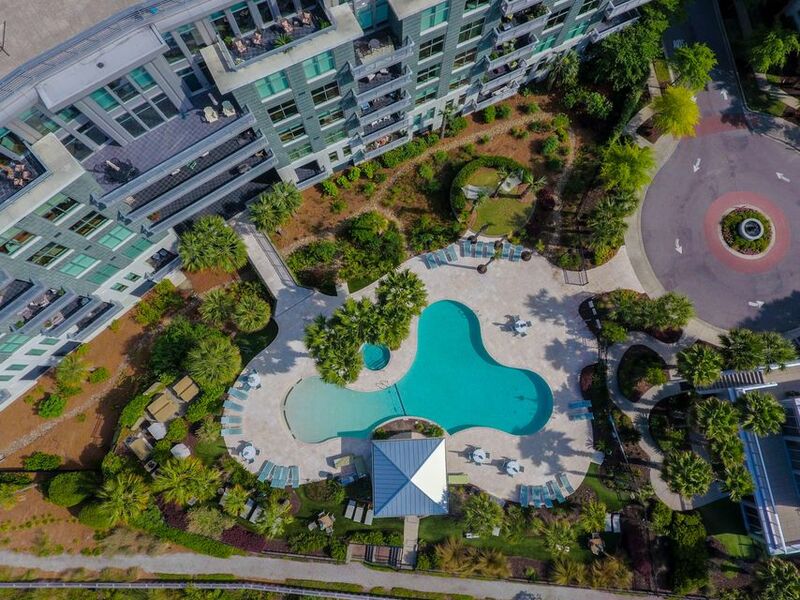 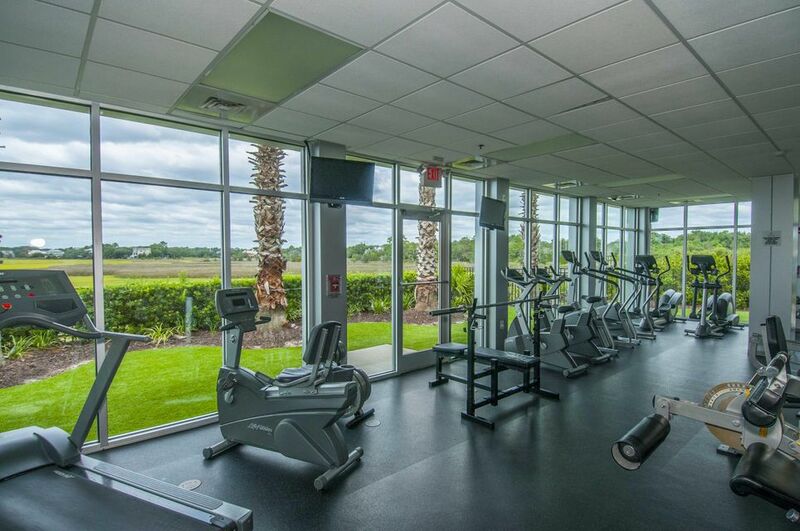 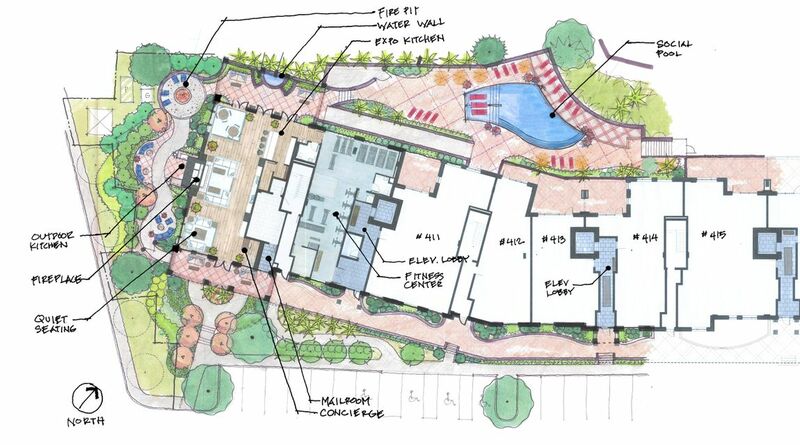 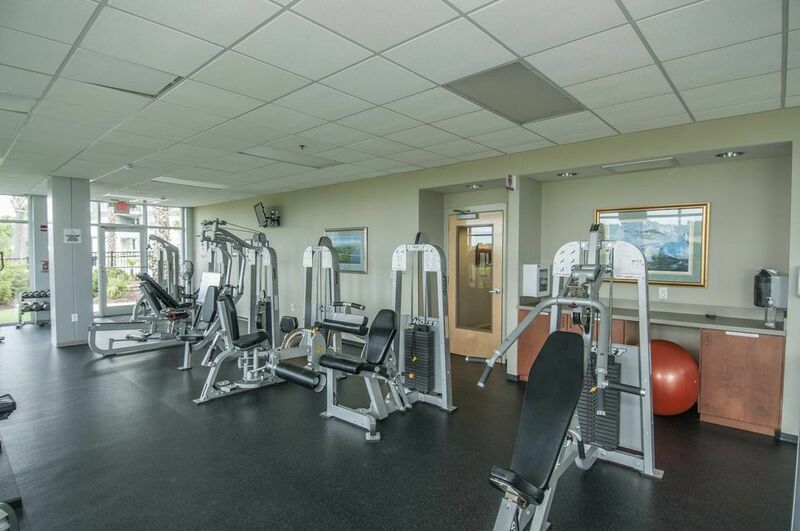 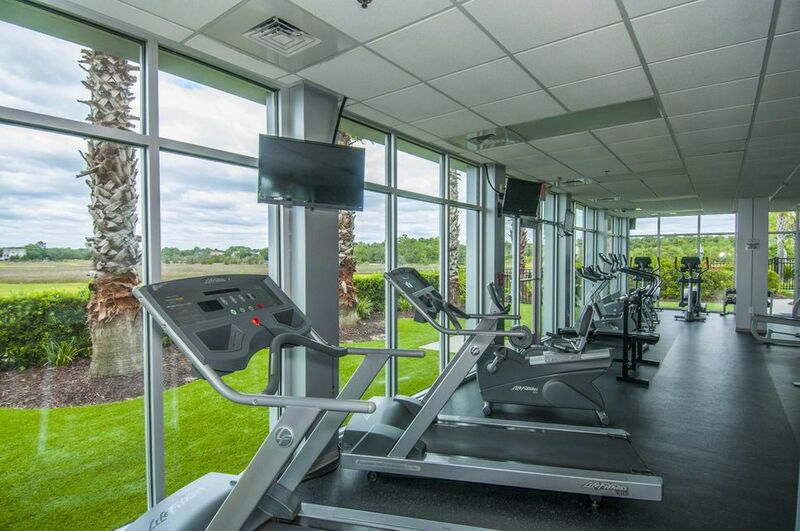 Extensive Amenties including Carribean Resort style slope entry Pool, jacuzzi, Summer Kitchen, Gas Grills, Hammocks, Walking Trails, State of the Art Fitness Facility, Sauna & Steam Room, Ladies & Men's Showers. 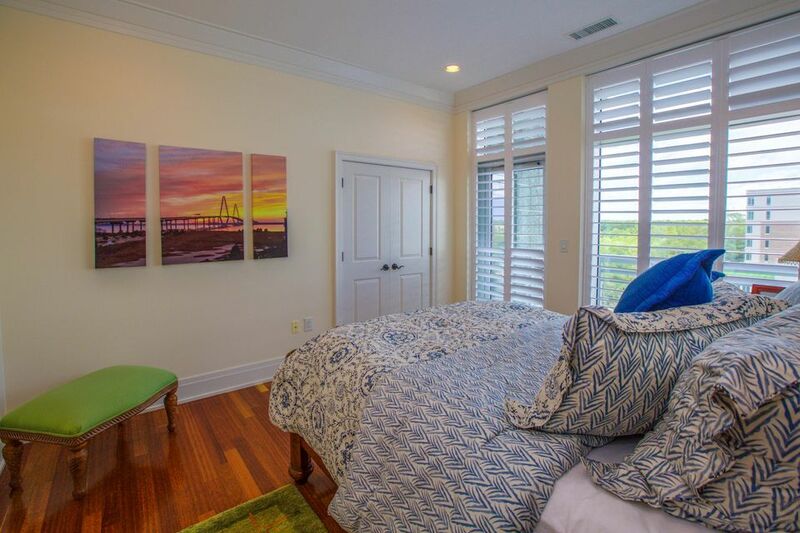 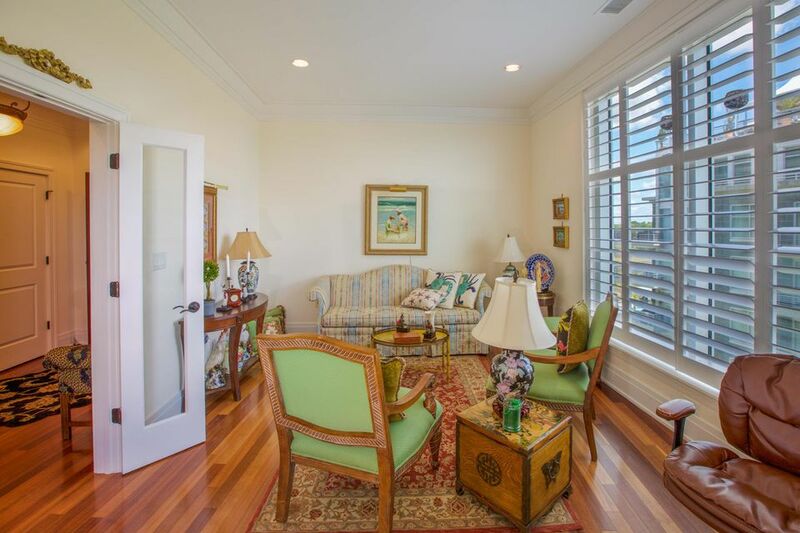 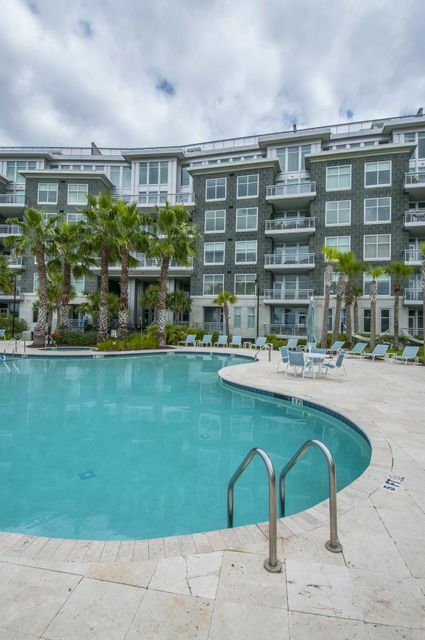 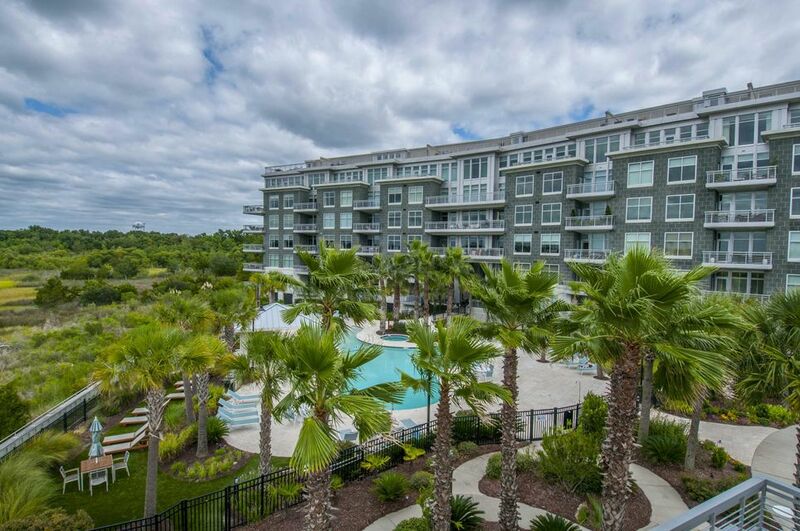 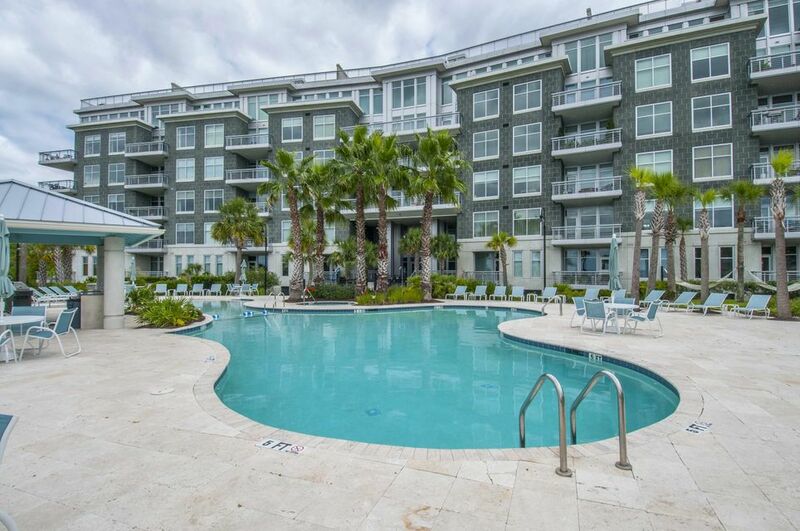 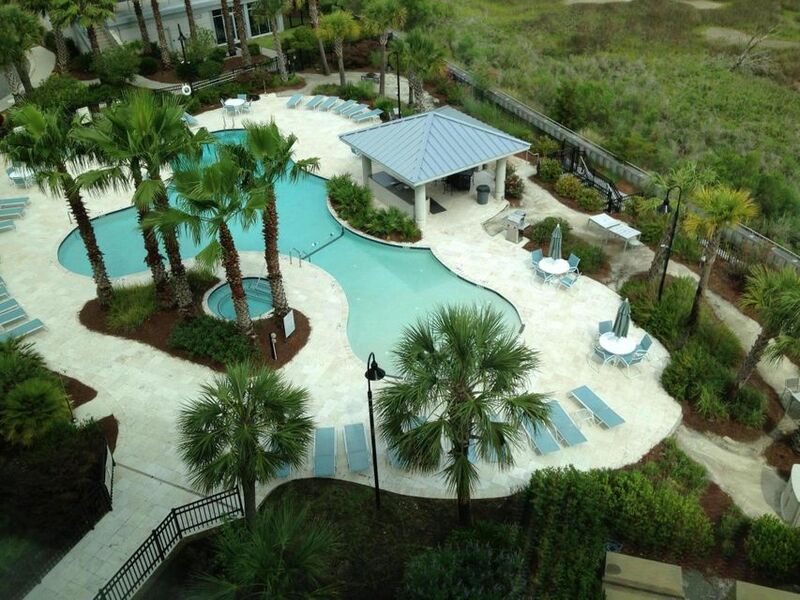 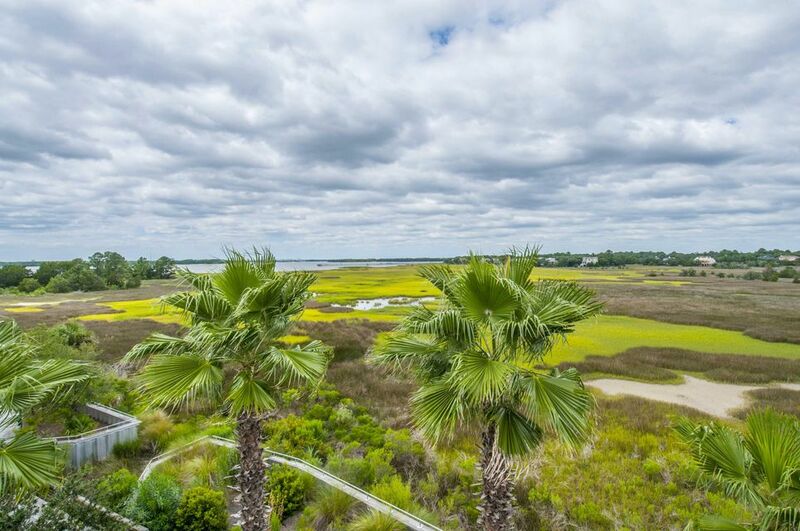 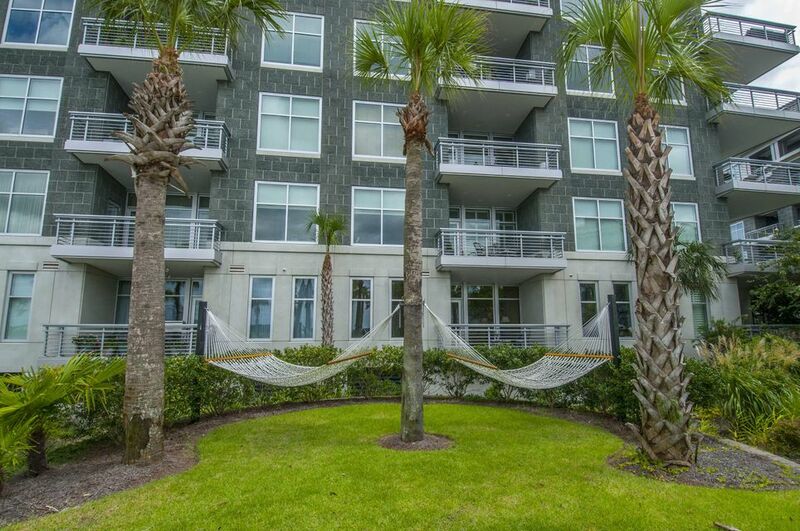 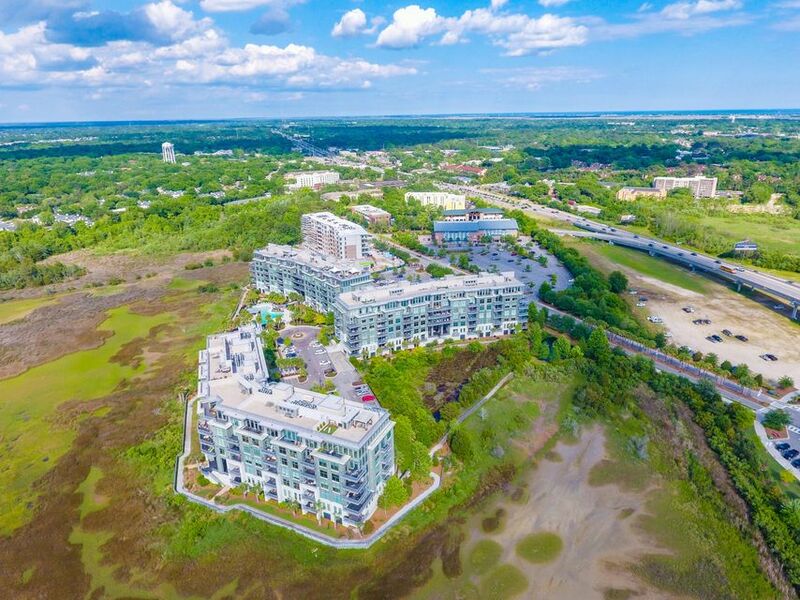 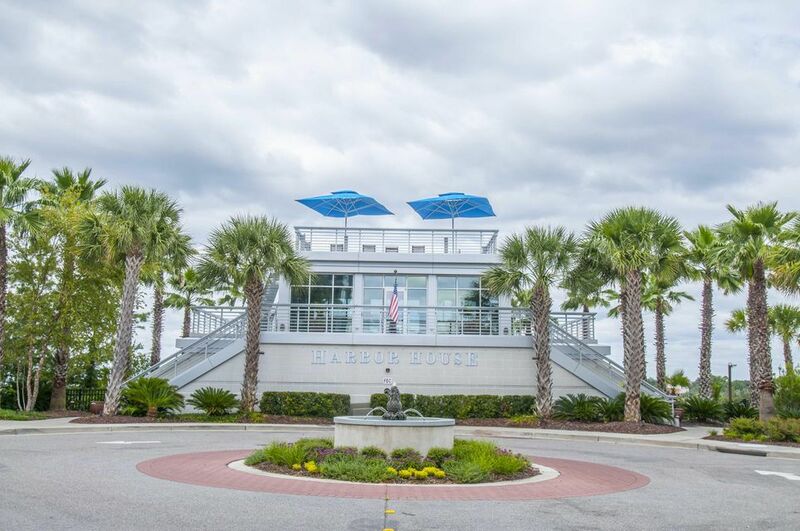 With easy access to the Bridge you are Minutes to Downtown, Beaches, Shopping & Restaurants.